What Secrets Are Hidden Inside The Call Of A Bat? A little brown bat confirmed to have white-nose syndrome. The fungal disease white-nose syndrome has killed off millions of bats across America. Since it was first identified in 2006, it’s appeared on bats in more than 30 states, including all of New England, Quebec, and the Maritimes. Now, scientists are trying to learn more about the impact of this devastating disease, by listening to the calls of the bats left behind. If a bat flies in a forest and no one’s around to hear it, does it make a sound? Well, not a sound our ears can hear. Bats use echolocation to navigate and find food. It's similar to sonar, with a bat sending out sound pulses and then listening to the echoes that bounce back. Scientists can learn a lot from those calls -- by recording them, slowing them down, and shifting their pitch, so our ears can hear it. Chris Wisniewski, who teaches biology at Southern Connecticut State University, said in Connecticut, that sound used to be a lot more common. "Pre-white-nose syndrome, it would have been just as common as the big brown bat," Wisniewski said. "We saw them to a smaller extent, but nowhere near their pre-white-nose syndrome numbers." Wisniewski is clued into bat calls. Last year, he set up microphones all over the state, recording hundreds of hours of them. The idea was to figure out what bats are out there and what they’re doing. "There’s really not much known on Connecticut bats. Especially now, post-white-nose syndrome," Wisniewski said. 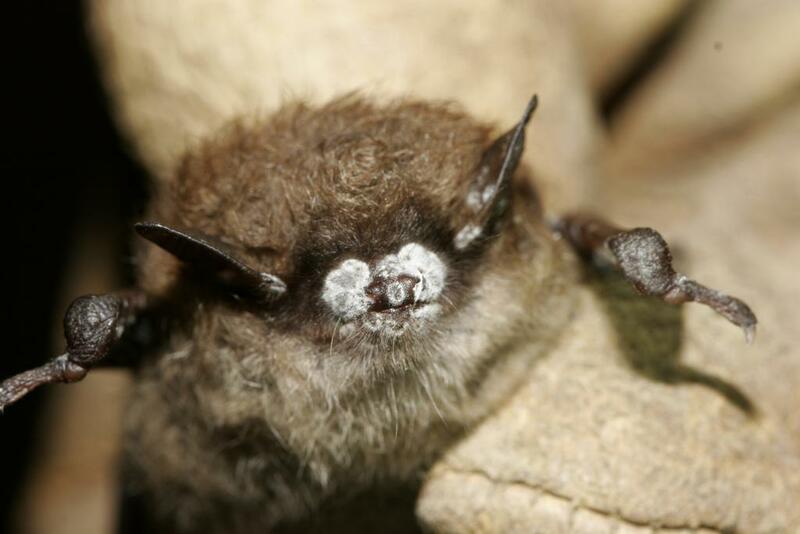 White-nose is a fungus that affects bats when they hibernate. It gets on their skin, and causes bats to do odd things, like fly around in the winter. "Because of that fungus, they’re waking up from hibernation, it’s causing them to use all that energy, they’re losing their fat stores," Wisniewski said. "They’re not able to bounce back from that. It’s really quite devastating." A little brown bat with white-nose syndrome photographed in 2008. But what about those bats that do bounce back? "We’re really starting to turn our attention to these surviving bats. What are they doing differently? What can we learn from them?" said Miranda Dunbar, an associate professor of biology at Southern Connecticut State University, who advised Wisniewski’s research. "It’s a library of sorts. And so we can plug in our recordings of an echolocation call. And the software will match that with the known and try to match the species together," Dunbar said. From that, Dunbar said, you can learn a lot about bats. "Based on the types of calls, we can figure out what exactly are they doing in those areas?" Dunbar said. "How are they using that habitat?" Like the eastern red bat, a migratory species, which popped up at microphones Wisniewski put near bodies of water on the edges of forest. Or this big brown bat, recorded exhibiting a "feeding buzz" at Indian Well State park in Shelton. Big brown bats were, by far, the bat Wisniewski recorded the most. "They’ll send out search and approach calls," Wisniewski said. "But as they close in on something, or specifically, an insect, they’ll send out, really, a rapid pulse rate of their echolocation call." As he recorded around the state, Wisnewski said getting lots of big brown bats confirmed other surveys in the region, and hinted that big brown bats, with their larger fat reserves, appear to be better at shaking off white-nose. And now that the little brown bats are, essentially, gone -- Wisniewski said his research raises another question. "Are other species moving in and utilizing these ecological niches once held by that species?" Wisniewski said. "So are the big brown bats now moving into to habitat types and taking over the role -- the ecological role -- of the little brown bat and other species that are much less common post-white-nose syndrome?" 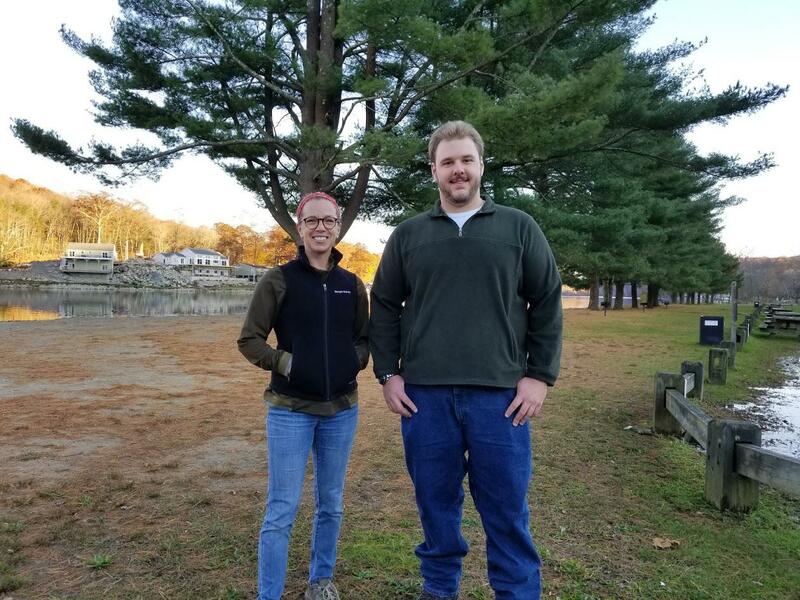 Researchers Miranda Dunbar and Chris Wisniewski spoke about their research at Indian Well State Park in Shelton. Miranda Dunbar said learning more about those survivors is the next step for bat research. "We spend so much time talking about those that have died. But there are a few species and a few individuals that are surviving this disease," Dunbar said. "They must be doing something special. They must have something special that allows them to do this." And while Dunbar isn’t optimistic white-nose syndrome will be “cured” anytime soon, she’s hopeful bat acoustic data will continue to unlock more secrets about the bats weathering white-nose. One of the nation’s most iconic creatures continues its comeback. A state report indicates bald eagles are returning to Connecticut in record numbers. Federal fishery regulators are taking back their claim that newer lobster fishing gear is harmful to North Atlantic right whales. 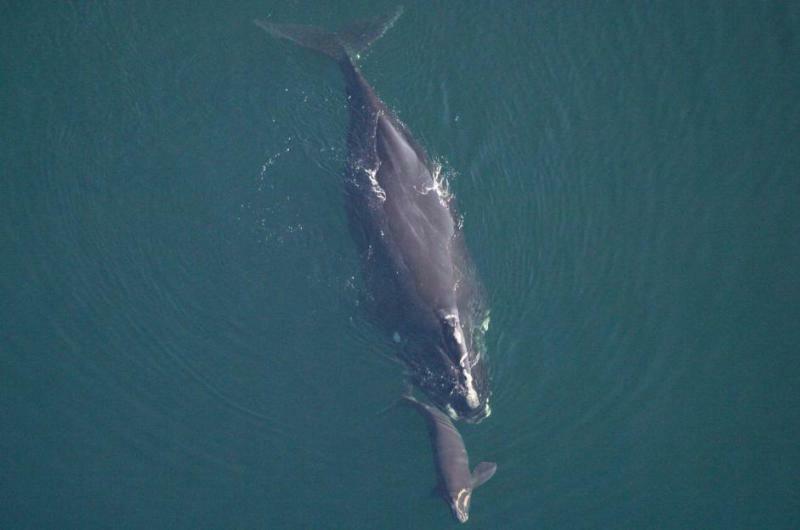 Right whales are one of the most endangered of all the large whales, with only 450 remaining in the wild. Scientists from the National Oceanic and Atmospheric Administration recently published a report on the whales’ mortality.